Sup'Air TRIMS Foot Rest “UNIVERSAL” FOOT-REST. 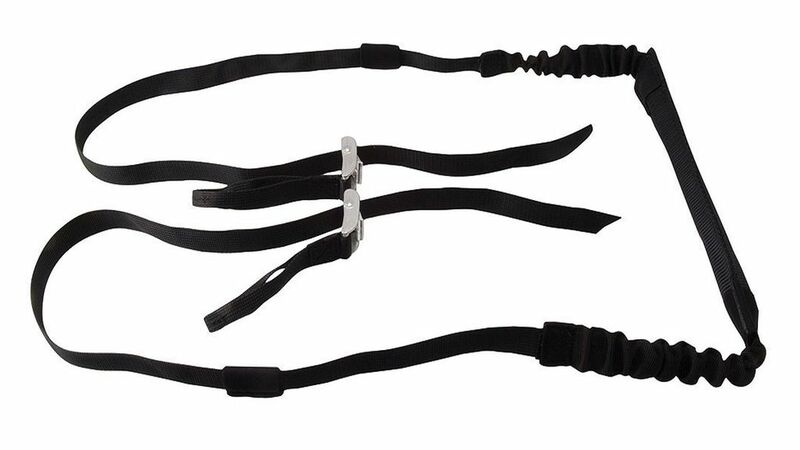 Adaptable to almost all harnesses non pre-equipped with one. 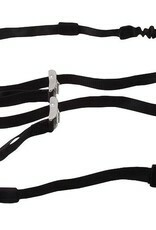 Weight : 230g LONG FOOT-REST ADAPTABLE TO ALMOST ALL HARNESSES NON PRE-EQUIPPED WITH ONE. THE TRIM BUCKLE IS SETUP WITH A STRAP CONNECTED VITA A LOOP TO THE MAIN HARNESS WEBBING BASE (CARABINER VERTICAL WEBBING STARTING BENEATH THE CHEST STRAP). CHARACTERISTICS : 25 cm sleeve protected aluminum bar. Integrated elastic foot-rest recoil system. Will keep the foot-rest in retracted position when not in use. Delivered with webbing connection loop and adjustment trimers.